Fourteen years ago I was joyously living life as a newlywed, and two weeks after reciting vows I discovered that I was also newly pregnant! During my expectant months, I must have had at least a hundred conversations with other women about pregnancy, labor, delivery, nursing, how to soothe a fussy baby, etc., etc. But, not one of those conversations ever included anything about the post-pregnancy portrait: Oh, the sagging, the scarring and the stretching! Looking in the mirror and seeing a battle weary body, the evidence of the sacrificial offering of bringing a beautiful baby into the world could not be hidden! The shape of things after giving birth really is a minor detail, I suppose, in light of the many more important maternal gifts and graces, namely the precious soul wrapped sweetly in the comfort of your arms. Still, I would have appreciated a little bit of warning. Nothing overly dramatic, a simple "get ready, it isn't gonna be pretty" would have been fine. Couldn't we all at least get a consolation glass of wine or a box of chocolates with our sagging and stretch marks? Embracing your changing shape for 9 months, to say yes to the curves for the sake of the joy of carrying life within is a relatively easy level of acceptance, it's an entirely new level of acceptance, however, to see yourself post-partum 1, 2 or even 10 times without feeling just a little bit undone. 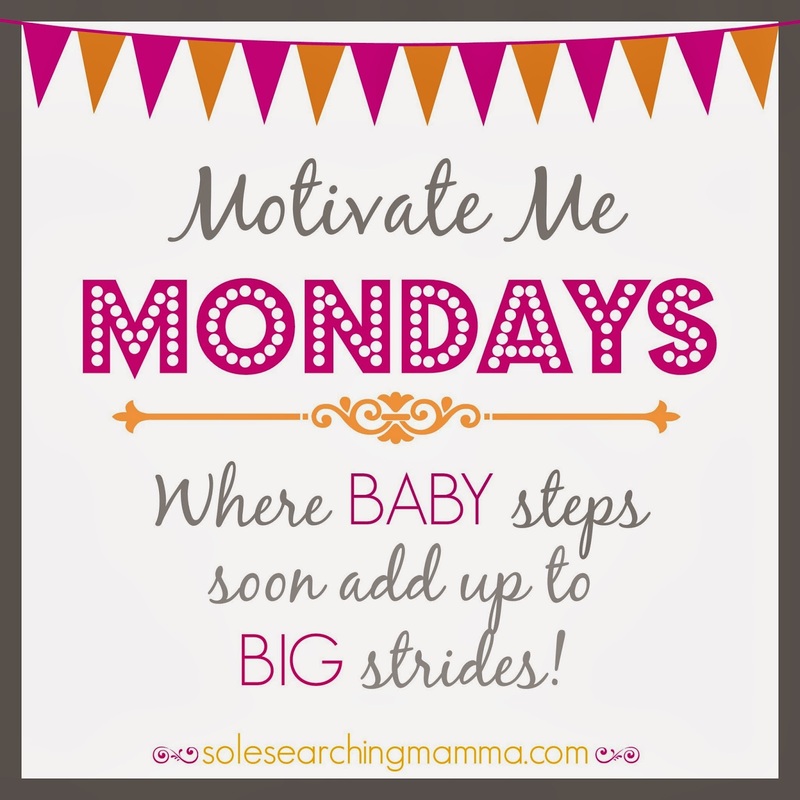 Getting back into a regular exercise routine (thank goodness for strollers!) and eating well was the slow, but steady pathway back to a similar version of my old self. But, it wasn't until our third child was born that I realized that regular exercise would become much, much less about losing post-baby weight or being able to eat pizza and drink beer on the weekends and more about strengthening my body, mind and soul for the daily demands of motherhood. How does all of this tie into the season of Lent? Since I'm currently pregnant with our sixth child, I can't help but feel that in many ways, being pregnant is in itself a Lent of sorts. Forty weeks of sacrifice (similar to the 40 days of Lent), of giving up many of the foods and drinks I love (emphasis on drinks), activities I enjoy (trampoline time with the boys! ), not to mention taking on daily discomforts as my body grows and adapts to accommodate the living soul within me. During Lent, if we approach it with a bit of determination and sincerity of heart, each one of us has the capacity to go grow in love for our Lord, to be stretched in ways that may not be easy, and to adapt to perhaps a different diet, a change of schedule, to reexamine our priorities in order to make more room for prayer and acts of service, and less time for television and Facebook. All of this effort, would of course be made with the hope of nurturing the life of Christ within us - a life that, as Christians, we believe will blossom more fully on Easter. While there's nothing wrong with giving up our list of dearest comforts, or even addictions, whether they be food or drink or technical engagements, rarely do those offerings become life-long habits. Am I ever really going to give up my daily dose of chocolate or my weekly watch of something Jane Austen?? Only should I develop a severe allergy or blindness. That said, to take on a particular activity rather than give up a tangible good is another way that we, as Christians, can view the mission of sacrifice during Lent. Some of us may choose to spend more time in prayer, ministry, volunteering or spiritual reading. I would like to write into that noble list of endeavors a sacrificial activity that I believe has the potential not only to become habit for any one, if not many of us, but to produce beautiful fruits in our lives both spiritually and physically, and that is a true devotion to Christ through exercise. If, perhaps, fitness is already a part of your daily habit, then I hope you will find that you're already experiencing some of the benefits listed further down. But, from my experiences of sharing day to day life with other moms, exercise easily becomes the last thing on our "to do" list (if it's there at all) when household and work loads are heavy, or emotional strain is high. Do you not know that your body is a temple of the Holy Spirit? As moms we may feel as though it is selfish to take time for ourselves to exercise, that exercise just doesn't have a proper place on our list of priorities, or that we simply don't have the energy to give ourselves to one. more. thing. I understand, trust me I do! Either we've allowed ourselves to think that exercise is selfish and self-centered, or we believe the opposite, that extreme attentions to the aesthetic of the body isn't selfish at all, but a necessary good in order to be accepted by others. While the latter is definitely a misguided and false perception of the true end of exercise, I would argue the opposite in the case of it being selfish. To ignore the care of our bodies is to ignore the care of ourselves as persons, as children of God, and to do so is prideful. We are not prudently prioritizing the necessity of the body as a means through which God can accomplish his purpose and plan. When we don't take the time to take care of ourselves, we are unable to offer Him and our families the gift of our best self. This is where the stretching and strengthening part of the Lenten sacrifice comes into play. First, I'd like to challenge your mind to be stretched in a different direction. You do deserve the opportunity to take care of yourself and you do have time. We all have time for those things that are most important to us. You are important! "Man cannot find himself except through a sincere gift of self." Few know more about the daily self-gift, self-donation and self-sacrifice than a mother. By God's perfect design, our intuitive desire to serve others is deeply rooted in our feminine nature. 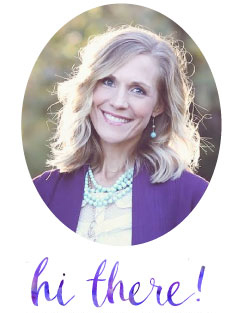 Unfortunately, when we feel overwhelmed, worn out, or emotionally unbalanced, serving others with joy, cheerfulness, confidence, patience, and enthusiasm becomes quite a seemingly impossible calling. Loving service requires a rested body a, peaceful mind, and (if you're like me, raising a home full of boys) a stout heart. Those virtues, patience, joy, fortitude and enthusiasm are of course gifts of grace which may be increased with prayer and, in turn, strengthened through acts of the will, but they are also greatly supported through exercise. We are not just called to a life of self-gift each day, but to give our best selves as gifts to the Lord, to our families and to our communities. Paul's encouragement in 1 Timothy 6:12, "Fight the good fight of faith" comes with strong emphasis on fight. He didn't say try or make an effort. Zealously, he bids us to fight! To fight means that the battle against sin and temptation is a serious one, and to engage in such a battle with a steadfast focus means that the mind, body, and will must be strong, it must be fit for the challenge! Paul goes on to encourage us to run so that we might win the eternal prize (1 Corinthians 9:24). The eternal prize, is of course, heaven! While sacrifice and penance may seem to be the focus of Lent, the real focus should be heaven, the eternal prize won for us by our Lord Jesus through His suffering and death on the cross. We can unite our sacrifices to His. Yes, unite yourself to Christ every time you exercise, offering up your workouts for His greater glory each and every day with the goal of a heavenly reward! Every athlete must keep all his appetites under control; and he does it to win a crown that fades, whereas ours in imperishable. 1. Bring balance our emotions. There's no denying that we women are indeed emotional creatures. 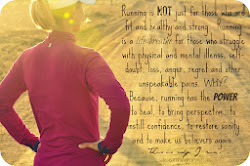 I'll be the first to admit that I don't just run for the sake of running! A primary fruit of going out for a run, whether it be a quick 3 miler or a long weekend jaunt is that I always return feeling more level headed and less sensitive to everyone and everything around me. Exercise is scientifically proven to have a balancing effect on female hormones. The result of more stable emotions isn't just good for our moods, but also for our spiritual perspective. We are more apt to approach each day with greater hope and zest for the will of God in our life when our emotions are in check. Amazing! : Just 10 minutes of vigorous exercise can double the body's level of norepinephrine, a neurohormone that is associated with alertness and feeling joyous (think of how happy dancing makes us feel!). Research shows that stress lowers norepinephrine levels in the brain, while exercise increases those levels. 2. Ease physical pain and discomforts. It's not just the physical demands of motherhood, the sleepless nights and endless picking up, folding and child lifting that brings on aches and pains, but also the anxiety and personal sufferings that we endure interiorly that contributes to our bodily discomfort. It seems counter-intuitive to participate in something that is uncomfortable (exercise) in order to achieve comfort from aches and pains, but thanks to the magic of endorphins, with regular exercise we really kind find pleasant relief from physical suffering. 3. Strengthen the mind and the will. Blessed John Paul II once said that, "Exercise can be a training ground for virtue, a school of inner balance and outer control, an introduction to more true and lasting conquests." With those words words in mind, fitness, then, has the potential to prepare the mind to courageously face the temptations that come our way each and every day. As well, the daily choice to exercise despite a lack of feeling or energy toward activity will naturally strengthen the will, and that strength will pour out into other areas of life where we feel weakest under pressures and temptations. 4. Provide opportunity to focus on your daily devotions. Through habitual exercise, we can become athletes of a sport and athletes of the spiritual life at the same time. Depending on your choice of exercise, working out can offer focused time for prayer, meditation and examination of conscience particularly if you choose to run, bike, swim, hike or walk either alone or with a partner (who will pray with you). I find that the rhythm of praying the rosary fits well into the rhythm of a run or even a brisk walk. The physical-spiritual connection between prayer and sport fosters the stamina and strength that is necessary to keep our spiritual life in order as well as our practical life at home and at work. Blessed is he who can dominate the worldly bustle which surrounds him, and savor in silence and recollection the peace of God. The primary goal of Lenten season has always been, and always will be, unity with Christ. Christ offered his body as a living sacrifice. We, too, can offer our bodies as a living sacrifice not only in the way of bearing children and laboring in love for our families, but in enduring with fortitude the pains required to keep our bodies healthy and strong for the service of the Lord. I hope that you feel encouraged to consider exercise as a positive part of your Lenten offerings, one that will perhaps become a life long habit, bearing fruit in your own life and in the lives of those around you as well! Love this post. I'm almost 4 weeks postpartum and really getting the itch to get back into an exercise routine, but needed this reminder to motivate me spiritually! I will definitely be incorporating some sort of exercise routine into my Lenten season now. Exercise is one of the things that I've always done for myself for many of the reasons you listed. I have done some reading (and praying) and have decided that even though I'm not Catholic, I can still observe the tradition of giving something up for Lent - I think that it will be a good reminder for me at least for the next 40 days. thank you so much for this! Definitely came at a much needed time. Thank you so much for this post. For years, I've given up things like sugar or desserts, but this year, it just wasn't sitting right for me b/c i'm not sure how that type of sacrafice was bringing me closer to God (except that it was a sacrafice in the spirit of making sacrafices). But this year I was toying with the idea of making exercise (walking, running, biking) a priority, something to add each day of Lent. At first it seemed odd to add something in, instead of sacrafice, but I know that during exercise i will be able to pray/talk to God. And to make the time to fit in exercise everyday is a sacrafice of sorts bc I will need to let go of time that would otherwise be given to work, tv, facebook, etc. But while still contemplating my choice, i found your post and it has given me everything i need to wholeheartedly jump in. thank you again! Very helpful post! Exercise is so important and we really need to have those thoughts in our minds to make the routine successful. Thank you!